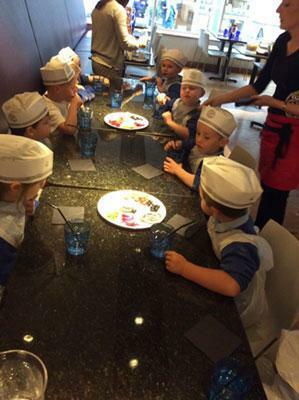 Class One had a great time at pizza Express for our trip on 12th September. 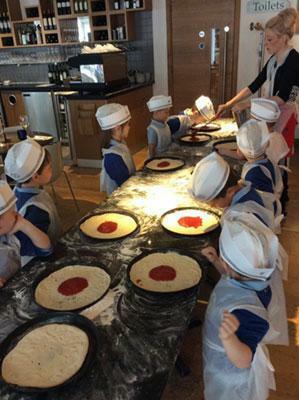 They learnt how to make an even pizza base with dough by making the pizza into a fried eggs shape and then squashing the dough, rather than stretching it. 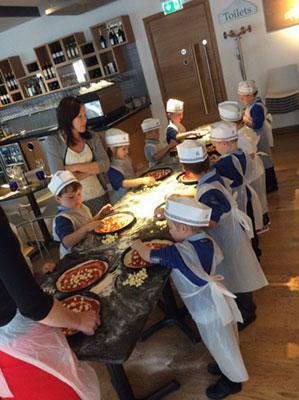 The children then added tomato sauce and mozzarella evenly to the top of our pizzas and the chef cooked the pizzas. We were lucky enough to bring the pizza home for our tea. 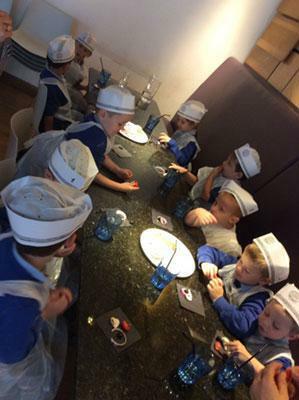 We learnt about all the ingredients we used for example the tomato sauce comes from a farm in Italy. 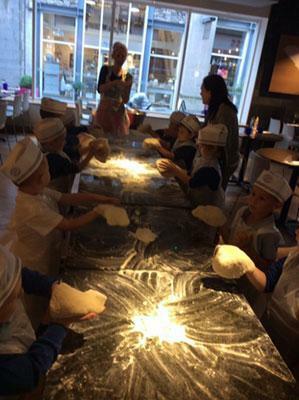 We also learnt pizzas have a crust because miners in Italy used to eat pizza and they had dirty hands so they held it by the crust so their pizza didn't get dirty.